As more news organizations build their business models around subscriptions and soliciting individual donations, the body of research that guides public radio fundraising is overdue for re-examination. Solid audience research played a vital role in guiding public radio’s growth over decades. In the ’80s, research-focused programmers adopted the slogan “Think Audience” to guide their scheduling decisions. Organizations like the Radio Research Consortium and Public Radio Program Directors Association were founded to define and spread best practices in acting on audience research. With that disciplined focus, listener support has become public radio’s single-largest source of funding. By fall 2016, stations had built their total weekly audience to the record-setting level of 37.4 million listeners. Public radio fundraisers describe the Giving Path or the “Stairway to Given” — the steps a listener takes to become a public radio supporter — as they define the key messages of their pledge drives. This concept began to emerge with The Cheap 90, CPB-funded research from 1985, and was refined through subsequent studies, including NPR’s On-Air Fundraising Partnership Research, published in 1993, and Audience 98. You have to rely on the programming. You have to find said programming personally important. You have to believe public radio needs your support. You need to be able to afford to give. The research that defined this stairway helped to shape the public radio system as we know it today. NPR and CPB funded the underlying studies to support and inform stations as they began to focus on building listener-sensitive income. The concept of the giving path as a stairway has served public radio well by allowing stations to deliver effective messages about fundraising. But — let’s be frank — the logic behind the stairway was developed during a different era. At my station, staff reasonably question whether the giving-path research is out of date. Their concerns are valid, especially when you consider that some of our current givers were children — or not even born — when the data were collected. While many of the principles behind “Stairway to Given” may endure, there’s value in probing whether and how our users have changed with the times. As public radio develops new digital services that enable on-demand listening, we know we are serving different constituencies than in the past. We need to move from “thinking audience” to “thinking audiences.” While broadcast listenership remains important, the stairway model assumes financial support goes to a single public broadcast service. Today’s audiences are more complicated. We have podcast subscribers and online visitors who may never listen to radio, but we don’t know how their media usage and preferences translate to giving. Stations need to understand the catalysts of giving in this new multiplatform world. It will be key to our future sustainability. We have made assumptions about the value of audience services such as podcasting, web streams and websites, but we don’t have clear data that show which of these contributes to user value. The newspaper industry may provide a model to emulate in this respect. As publishers look for ways to recover from the disruptions of digital technology, they are re-examining subscription marketing. A recent study conducted by the American Press Institute explored the path readers take to become subscribers. The research found that newspapers serve many audiences; there’s no one path or stairway that leads to a subscription. Following a survey of recent subscribers to 90 local newspapers, the study defined nine paths to subscriptions. Each “path” describes a specific audience segment and its own set of reasons for subscribing. One group just wants to save money by clipping coupons from the newspaper, for example; others subscribe because they want to keep up with local news that friends and family are talking about. API’s research includes useful tips on what to do to serve these different audiences and attract new subscribers. The API study also looked at both digital and print subscribers, taking a comprehensive view rather than focusing on digital users or specific demographic groups. While newspaper publishers have many challenges ahead, research like this may help them rebuild their revenue streams by providing deeper insights into the various audiences they serve. Public radio would benefit from similar research on its donors — ideally a study that uses cluster analysis to identify the different personas of public radio givers. The findings could lay out a road map for public radio managers, guiding strategic investments in content and audience development, including podcasts and live events. It could also help improve messaging in ways that encourage giving. A research project that develops sophisticated donor personas would offer critical knowledge to public radio in this new era. We have made assumptions about the value of audience services such as podcasting, web streams and websites, but we don’t have clear data that show which of these contributes to user value. While public radio managers may have theories about this, new research can help us better understand the reality of our situation now — and better understand our audiences. An example of the value of research comes from my experience with Audience 98. At that time, stations were afraid of many things. Before the dot-com bubble burst, many assumed public radio’s future was dim. Station leaders thought people were spending less time with radio and more time online. As a young research associate for Audience 98, I used the data to write a series of articles that answered questions about changing media usage. Despite the many fears that were circulating about threats to public radio, the research told a different story. Understanding the reality of our situation helped public radio put things in proper perspective and make smarter decisions. Now, as during the 1990s, public radio has much to fear from new competitive threats. We also risk overreacting to new opportunities. How does the expansion of local news, podcasting and more community engagement through events affect the value givers see in our service? 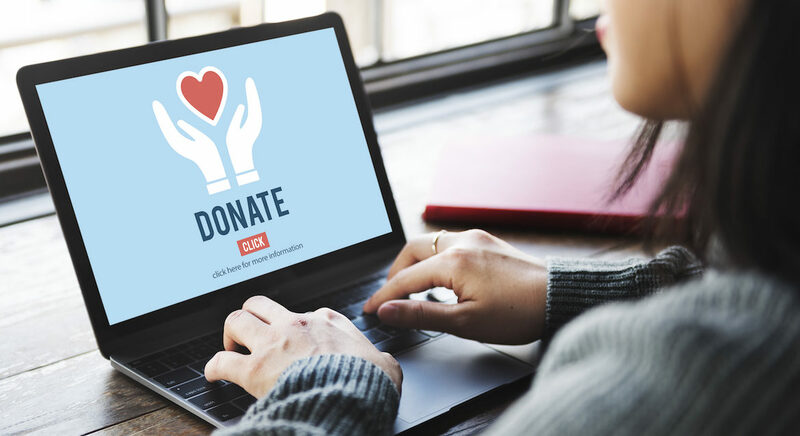 Can added services on new platforms add value to donors? A modern research project focused on donors could clarify our path and help us make smart new investments in content and technology. Time-tested concepts like “Stairway to Given” have built a solid and effective path to sustainability. Now we need to know more to arm the system for the future. Public radio’s service has grown from one audience to many audiences. By understanding and embracing this new reality, we will gain a better understanding of how to build the many stairways we will need to sustain our work. Michael Arnold serves as Chief Operating Officer at Wisconsin Public Radio. His background includes work in content management positions at Public Radio International and stations across the country, including New Hampshire Public Radio, WUNC, WWNO and Northwest Public Radio. Michael has been involved in many national research projects, including Audience 98, the Core Values of Public Radio and projects at PRI focused on expanding and diversifying public radio’s audience. Correction: An earlier version of this commentary traced the conceptual framework of the Stairway to Given to NPR’s Listener-Focused Fundraising research and Audience 98. But the concept first emerged from a 1985 study, The Cheap 90, and was refined through subsequent research.